Midwifery involves providing obstetrical care, including child delivery. Midwives deliver babies in hospitals, birth centers, and in the birth mother's home. Midwives have long been defendants in birth injury lawsuits alleging medical malpractice that caused permanent injury or death to the child or mother. Historically, midwives have played a large role in providing obstetrical care. In rural Maryland in the 19th Century, most midwives learned the craft through apprenticeship and the school of hard knocks. Midwives were not regulated in Maryland until 1898. Maryland law defines nurse-midwifery in COMAR 10.27.05.01 as the healthcare "management of newborns and clients throughout their reproductive life cycle." In Maryland, unlike some other jurisdictions, a midwife must be a registered nurse. Maryland no longer allows lay midwives to deliver babies. The same COMAR regulation mandates that a certified nurse midwife must be a "registered nurse who is certified by the [American College of Nurse-Midwives Certification Council] and by the Board." COMAR 10.27.05.02 outlines the requirements for certification as a nurse midwife. A midwife must have a not only be a registered nurse but must also have a current certification as a nurse midwife by the American College of Nurse Midwives. The midwife must also be affiliated with a medical doctor. If these requirements are completed, COMAR 10.27.05.06 allows a midwife to perform "independent management of clients appropriate to the skill and knowledge of the certified nurse midwife and the nurse midwife's agreement and protocols" and "management, in collaboration with a physician, of clients with medical complications." So in Maryland today, there are not the "old granny" midwives of yesteryear. Midwives are no longer women without education whose formal training was serving as an apprentice for another midwife. Today, Maryland midwives are registered nurses with advanced specialized training in midwifery." The overwhelming majority (approximately 98%) of midwife-attended deliveries occur in hospitals, with one percent in birth centers, and one percent in the client's home setting. Does this mean that it is safe to have a midwife deliver your baby? Our opinion is not a medical opinion but one that comes from seeing how difficult it is to manage complications during the birthing process. We think you are better off going to a great hospital and getting a great OB. So why even allow midwives in the first place? That is a great question. It is simply not as safe as having a good OB/GYN. It is mostly because some people are going to have their babies at home or underwater or however they want to do it. Midwives deliver 12.1% of all vaginal births in this country. The state will not be able to stop it. So the thinking is we should at least allow some regulation and some hope that generally accepted procedures will be utilized. There are good midwives. The problem our lawyers have is midwifery care is primarily intended for healthy women. So when complications develop, midwives typically refer the mother-to-be to other health care providers. The problem is we often do not know who is healthy and who is not healthy until it is too late. Midwives can also make the same medical malpractice mistakes that can cause birth injuries as obstetricians. Why don't you hear about $20 million verdicts against midwives in birth injury cases? Because in birth injury cases, the key is to find negligence on the part of the deep pocket hospital that has the coverage and assets to satisfy a judgment. It is rare to find a midwife that has more than $1 million in coverage. 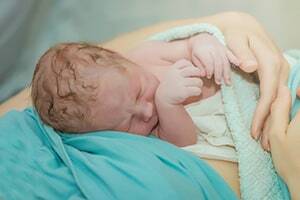 Meritorious birth injury cases against the midwife alone usually result in the insurance company offering the full insurance policy pretty quickly. Parenthetically, this is all why the Internet has a hundred thousand pages to attract birth injury lawsuits but few mention midwives who are delivering so many babies. Most birth injury cases against midwives stem from when they see or should see signs of trouble like an abnormal fetal heart monitoring strip and do not abort the mission and get to an obstetrician. If there is a sign that the mother or the baby is in trouble, this is a higher risk case that requires a more comprehensive obstetrics team. Have you suffered a hospital injury due to the negligence of a midwife? Miller & Zois can help you. Call us at 800-553-8082. You will speak with a nurse attorney who will understand what has happened to you and can explain to you what your options are and answer any questions you may have. You can also get an online case review.